St. John the Baptist has a fantastic and dedicated group of boys and young men who serve the parish as altarboys - assisting the priest and deacon with the orderly administration of the services. The boys range in ages from 8-18. 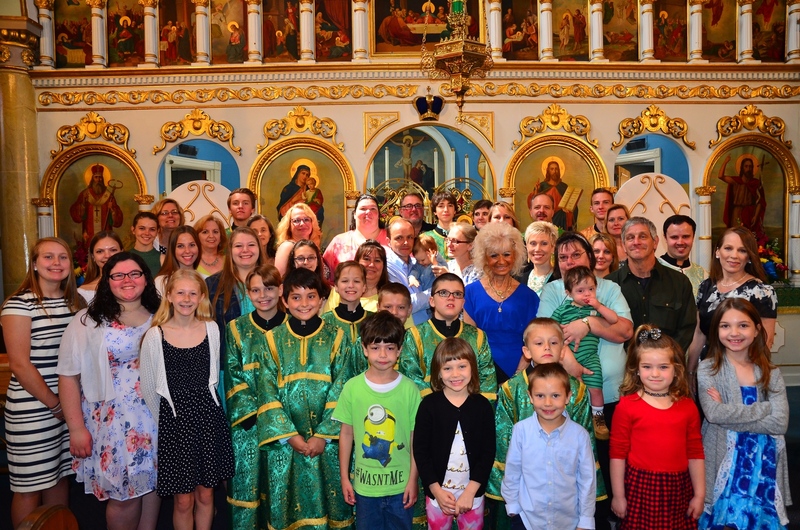 St. John's has been blessed with a wonderful group of growing families over its rich history. Even moreso are the dedicated parents who have banded together to form the St. Jonh's PTO to support the Sunday School Teachers (who are parents themselves) in the successful operation of the program by purhasing course materials, art materials and organizing various activites throughout the year for the fellowship of our youth. The PTO actively raises money through various fundraisers to support scholarships for those students who wish to participate in Diocesan Youth Events as well as underwriting the cost for transportation. The PTO's largest fundraiser is their renown Tricky Tray held every year on the Saturday before Thanksgiving. The parish choir is under the direction of Professor George Hanas. 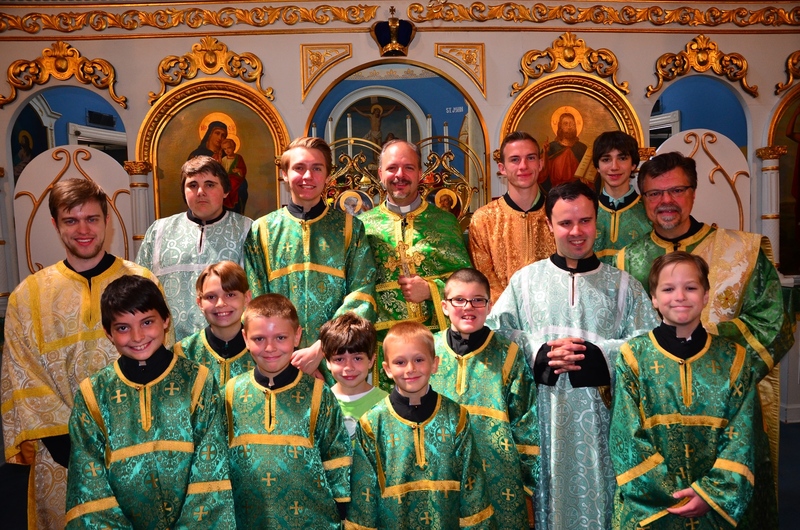 It is comprised of men, women and children who enhance the beauty of the liturgical worship by singing the responses to the Divine Liturgy and, occasionally, the Pre-Sanctified Liturgy. 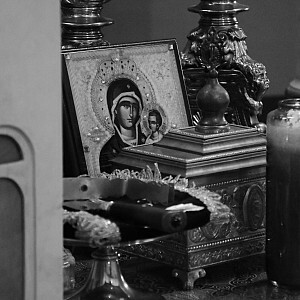 The responses include our Diocesan Plain Chant (prostopinije) as well as selections from other Orthodox Jurisdictions across the Faith. The last Sunday of the month is devoted strictly to non-choral plain chant and is led by the cantor/choir director. Over the past few years, a junior choir has been developed that is comprised of the young ladies of the parish who sing together and participate regularly in the services. 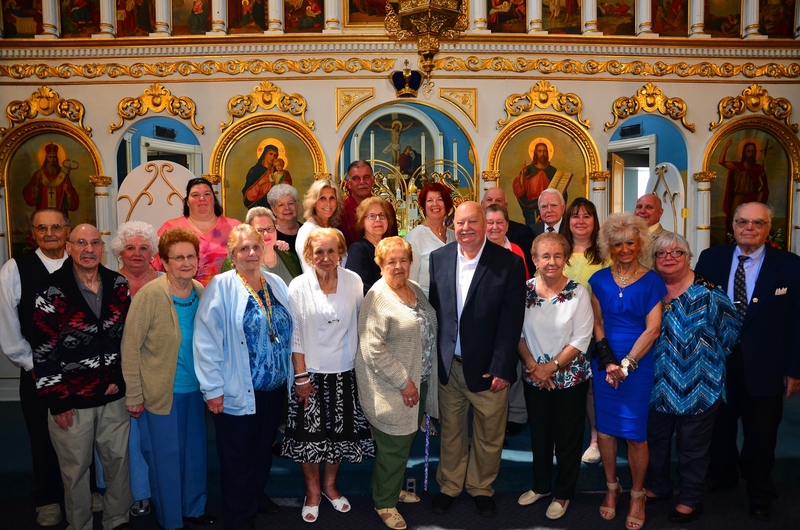 St. John's more "seasoned" parishioners gather for monthly meetings and regular social events to foster community and fellowship. Events include Veteran's Day Pork Loin Dinner, Summer Picnic, Valentine's Day Dinner, Mother's Day & Father's Day Dinners & Christmas Parties.